Bright pale in colour, this has real intensity to the nose, even though it’s quite backward. The fruit dances across the palate, resulting in a beautiful Chassagne with energy and length. We are very happy with this. 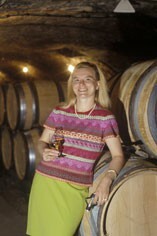 Caroline Gagnard, who has been running her father’s domaine since 1989, is happier with the quality than the quantity in 2012. There will be no Hautes Côtes de Beaune for us this year and very little village Chassagne, but Caroline has been kind enough to look after us as much as possible in our favourite Premier Cru vineyards. Her red wines are also very attractive this year. She tends to make the reds for relatively early drinking, but Caroline’s whites have an excellent track record for ageing very well. These 2012s are chock full of energy, and reflect their different vineyard sites very clearly. When it comes to the world's greatest white wines, the border between Chassagne and Puligny is the ‘X’ that marks the spot, the treasure at the end of the rainbow. Within a few hundred metres lie five wonderful Grands Crus, three of which are in Chassagne. They are led by the luscious, perfumed but variable Le Montrachet, to which Chassagne gained permission in 1879, along with Puligny, to hyphenate its name. Both Montrachet and the rich, nutty, honeyed Bâtard-Montrachet are shared between Chassagne and Puligny. The fragrant, very fine and rare Criots-Bâtard-Montrachet however, lies entirely within Chassagne's borders. The Grands Crus have their own appellations, which is why Chassagne (or Puligny) does not appear on the label. Although the most southerly of the three great names of the Côte de Beaune, Chassagne's style is often described as lying between that of Puligny-Montrachet and Meursault: less fine than Puligny, less rich than Meursault but containing elements of both. 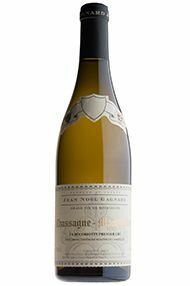 Chassagne is minerally yet succulent, and often floral with hints of hazelnuts. Despite a bevy of very good Premiers Crus, it is not as good or famous, overall, as Meursault and Puligny, but it is usually extremely good value. Grands Crus should not be opened before eight years of age, and can last for 20 or more. Premiers Crus are at their best from five to 15 years of age; village wines from three to eight. Perhaps surprisingly, given that the name ‘Montrachet’ is so synonymous with white wine, much of the soil in Chassagne is more suited to Pinot Noir than Chardonnay. Indeed it was only really in the second half of the 20th century that white wines began to dominate here. The reds have a firm tannic style that needs time to soften, with the best examples coming from the Premiers Crus Morgeot, Boudriotte and Clos-St Jean. At their best they combine the weight of the Côte de Nuits with the suppleness of the Côte de Beaune.